Ameinu stands in full solidarity with Israelis and Palestinians and works for a future of peace, justice and security for BOTH peoples. We see proposals for boycotts, divestment and sanctions (BDS) as the wrong remedy for a very real injustice. 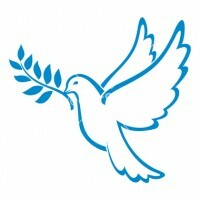 We present this analysis to assist progressives to understand how our progressive values are implicated in the debates and disputes over BDS, Israel and Palestine, and to provide a resource for progressives across North America to use in addressing local BDS campaigns. In opposing the BDS movement and its effort to delegitimize Israel — and the accompanying “anti-normalization” campaign – we do not in any way endorse the status quo of the occupation, the expansion of settlements or crimes or discrimination against Palestinians. Creation of a Palestinian state is in the interest of both Palestinians and Israelis, and must be created as soon as possible. Pro-Israel advocates who paint every supporter of BDS, as opposed to the leadership of the BDS movement, as deliberately working to destroy Israel are over-simplifying a complex situation. Not everyone who advocates boycotting or divesting from Israel does so to make Israel as a Jewish state disappear. Some want Israel to stop expanding settlements, end the occupation, provide equal treatment for Palestinian citizens of Israel, and take other steps that pro-Israel progressives – in Israel and around the world – also endorse. When pressed, BDS advocates offer no practical political path to peace and justice. They rely on a vague dream in which the Israeli people someday feel so isolated and under so much pressure that they demand an end to the occupation. Israel has one of the world’s strongest and most stable economies. So even if economic boycotts and related measures grew more popular, it would take many years – if ever – before they had a significant impact on Israelis’ daily lives or changed Israeli policies. The Palestinians cannot wait that long to achieve independence. And both Israelis and Palestinians will continue to suffer if the current dead-end status quo is maintained. Only through active steps leading to a negotiated agreement will a Palestinian state be created and conditions for peace and reconciliation be actualized. • Educational exchange programs to connect Israeli, Palestinian and North American students and faculty to promote a culture of empathy and reconciliation. A commitment to justice is central to progressive politics. But the BDS movement acts with extreme injustice towards Israelis, including activists against the occupation. Progressive Israeli Jews are fighting for a Jewish and democratic state of Israel. But prominent leaders of the BDS movement do not hide their antipathy to the Jewish state and some have publicly called for its dismantling. Even Norman Finkelstein, a well-known, harsh critic of Israel, has denounced BDS because the movement aims for “the end of Israel.” Moreover, a progressive commitment to equality is undermined by selective boycotts focusing only on Israel and ignoring equal or far worse crimes committed by other countries. BDS undermines progressive forces in Israel who are working for social justice and human rights. The BDS movement plays into the hands of right wingers in Israel who cultivate an “us against them, Israel vs. the world” mentality. The right gains more, not less political influence, when they can lump all leftists into the same “anti-Israel” category. The first letter is by Professor Steven Zipperstein, Professor of History at Stanford University, which first appeared in the January 26, 2015 issue of the Stanford Daily. I write as a faculty member implacably opposed to Israel’s occupation of the West Bank, as a Jew convinced that there is no greater ethical dilemma than this in present-day Jewish life and also as a member of the Stanford community opposed to the divestment initiative now championed by some on campus. How should we balance these seemingly conflicting convictions? As it happens, many inside of Israel, and arguably the majority of American Jews, too, share similar beliefs. And it’s just these issues that are being fought over in the current Israeli election scheduled for this March. But the divestment campaign provides little more than a distraction. Instead of facing the real-life dilemmas of a conflict in which two peoples demand, legitimately, the right to live decent lives in the same slice of land, it seeks to seduce supporters by collapsing suspicions of dubious multi-national corporate activities into the Palestine-Israel mix. How Israel and Palestine will sort out a terrible, and unequal, conflict in which the stories told by each side for decades now are harsh and unforgiving and make of a mess of both truth and exaggeration, is tougher now to predict than ever before. It will demand that all who care intensely about these issues are willing to confront the need for real, wrenching compromise, for an honest resolution where no one gets all that one wants, where all recognize that a free and viable life for Palestinians is no less crucial than simple, basic security for Israel. Perhaps in the future, Israelis and Palestinians will be able to live together in a closer relationship but, for now, as writer Amos Oz has so often insisted, divorce is essential with equitable division of assets. Divestment, however dressed up as criticism of nefarious business practices, is merely an effort at delegitimizing one side of this conflict. It is an exercise in obfuscation and it should be seen for the diversion that it is. Respecting Palestinians or demonizing Israel? Does respect for Palestinian human rights require American universities to refrain from owning stock in companies that provide military supplies to Israel? Or is the BDS movement (Boycott, Divest, Sanctions) an impediment to peace, as many supporters of Israel claim? It has been a long time since Northwestern was a hotbed of student activism, and a successful drive by NU Divest — on such a traditionally quiet campus — might well presage similar actions at other colleges and universities. It is, therefore, important to take a serious look at NU Divest’s goals and strategies, which will no doubt have implications far beyond Evanston and Chicago. For example, an NU Divest video includes this testimonial: “I support NU Divest because the New York and the St. Louis police department were both trained by the Israeli military. If black lives matter, then Palestinian lives must also.” The second half of the statement is undeniably true — all people matter, after all, including African-Americans, Palestinians and Israelis — but the first half is dangerously inflammatory and essentially false. The references to the New York and St. Louis police departments are obviously intended to implicate Israel in the deaths of Michael Brown and Eric Garner, as though the Israeli military had somehow prompted American police officers to gun down or strangle African-American men. This is just not true. While some American police officers have attended programs in Israel — as they have in Britain, France and elsewhere — there is simply no connection between Israel and the tragic events in Ferguson and Staten Island. Neither Ferguson Officer Darren Wilson nor NYPD Officer Daniel Pantaleo had ever received Israeli-based training in firearms or chokeholds. Why does this matter? Because the Internet is awash in insupportable claims of Israeli responsibility for recent police killings in the United States. These insinuations are uncomfortably reminiscent of the conspiracy theories that blame Israel for all of the world’s woes. After 9/11, it was bandied about that thousands of Israelis had received advance warning to stay away from the World Trade Center. More recently, a founder of the Free Gaza Movement declared that the Charlie Hebdo massacre had been a “false flag” operation masterminded by the Mossad. The NU Divest testimonial is not as extreme — implying only that Israeli training was responsible for the Brown and Garner killings — but it demonstrates how easy it has become for pernicious myths about Israel to be spread in the guise of political arguments, even among otherwise reasonable people. The testimonial cannot be discounted as the credulous contention of one ill-informed student, given that the NU Divest leaders obviously made a conscious decision to post it on their website. And other aspects of the NU Divest website further suggest a settled determination to delegitimize Israel. On its home page (and also on its petition), NU Divest announces that it supports the call for “Boycott, Divestment, and Sanctions against Israel,” commonly known as the BDS movement. The Palestinian BDS National Committee, however, supports a wide-ranging academic boycott that would squelch academic freedom and institute nationality-based discrimination against Israeli scholars and schools. In fact, the published BDS guidelines actually oppose all events “that are designed explicitly to bring together Palestinians/Arabs and Israelis so they can present their respective narratives or perspectives” and work toward reconciliation. Joint Israeli/Palestinian programs would be permissible only if they promote “co-resistance” rather than co-existence. So which is it? Does NU Divest endorse only “financial neutrality,” or does it agree with the parent BDS movement in abstaining from normalization and co-existence? Does it seek only to end the occupation, without condemning “a country, a people, or a community,” or does it unfairly hold Israel responsible for police brutality in America? Is divestment from the six targeted companies an end in itself, or is it the leading edge in a destructive and divisive boycott campaign? The answers to these questions are crucial because the outcome of the NU Divest operation will be closely watched at other schools. And its eventual tactics — whether they turn out to be admirably transparent or regrettably disingenuous — will serve as a model for other campuses. Ending the occupation is a laudable goal but only if it is addressed honestly and without a hidden agenda. The gratuitous demonization of Israel, on the other hand, cannot bring anyone closer to peace.